Looking for a Ruby job? You are looking to enjoy a great career as a software developer, but you feel like you are not ready yet. You think that you are still lacking some of the required skills to land that next job. You don't need to learn everything, just the most critical skills that you are going to be using every day in your job. And there is one skill that almost every Ruby position requires. The skill that I'm talking about is TDD. 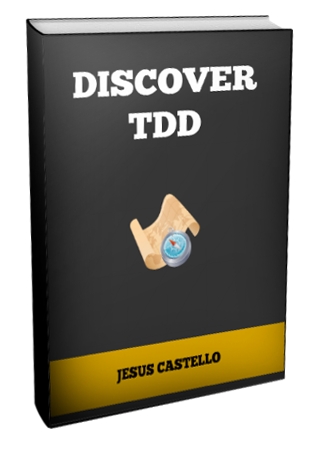 Discover TDD is the perfect course for you. Full of examples and step-by-step walkthroughs so you will never get lost. The difference between people that are successful and those that aren't is that people that are successful take massive action. Are you going to miss this opportunity to take action & advance your professional life? - How is the course delivered? You will be able to watch the videos online whenever you want, but you can also download everything for offline access. - What if I don't like the course? No problem! Try the course for 60 days & if you decide it's not what you wanted just send me an email and I will give your money back. - What if I have more questions? Send me an email. I will be happy to answer any questions you have.